Even if you've never strapped on a scuba tank, you can still discover whole new worlds under the sea. Beaches one-day resort certification course will have you diving in no time. If you're looking for something more advanced, PADI® courses are taught by some of the most accomplished instructors in the Caribbean. No matter what you choose, you'll be on your way to exploring an underwater universe in no time! 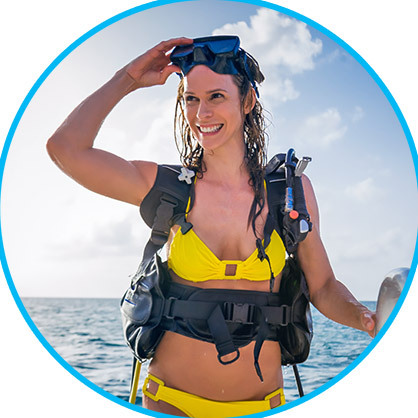 If you've always wanted to experience Scuba but never had the time it takes to get certified, Beaches can qualify you to dive at the resort in just a few hours. With our exclusive PADI® Discover Scuba Diver programme (only $100 USD) you will be able to dive, in most cases, the same day as your programme, and be able to dive throughout your stay at our Beaches Resort. 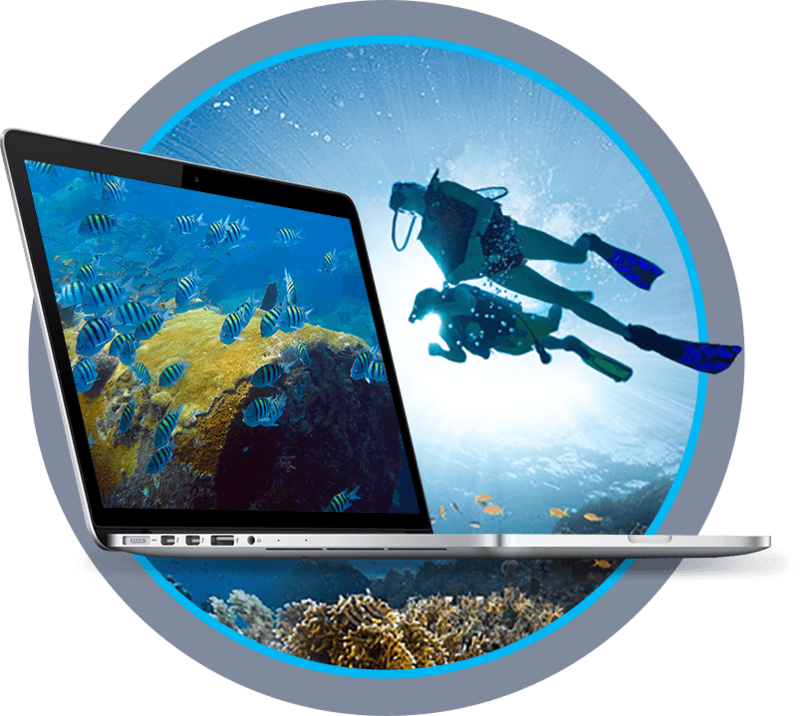 After enrolling, PADI's eLearning system presents you with interactive presentations that include videos, audio, graphics and reading. Short quizzes let you gauge your progress, and review and correct anything you might happen to miss. This lets you move through the programme efficiently and at your own pace. *In-water portion is an additional cost to the online course fee and is sold seperately at the Beaches Resorts' dive shop. The PADI Open Water Diver course is the most popular scuba certification course. Learning to scuba dive requires both knowledge development and motor procedures. The online course provides the knowledge development portion. You develop the remaining skills by diving with a PADI Instructor at the Beaches Resort of of your choice. 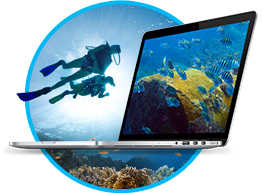 Start your PADI eLearning Programme today! 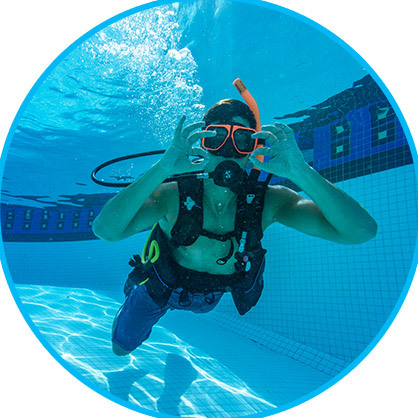 PADI®, or the Professional Association of Diving Instructors, has been teaching people to dive for over 40 years. With 135,000 Professionals throughout the world, PADI® training offers simply the best way to master the art of scuba diving. So, take advantage of all the PADI® courses offered at Beaches and you'll soon be exploring the wonders of the Caribbean underwater universe. Purchase a PADI® eLearning course for open water and advanced scuba diving and complete the classroom portion at your own pace - anytime, anywhere. Then come down to Beaches to complete the in-water portion of your certification*! 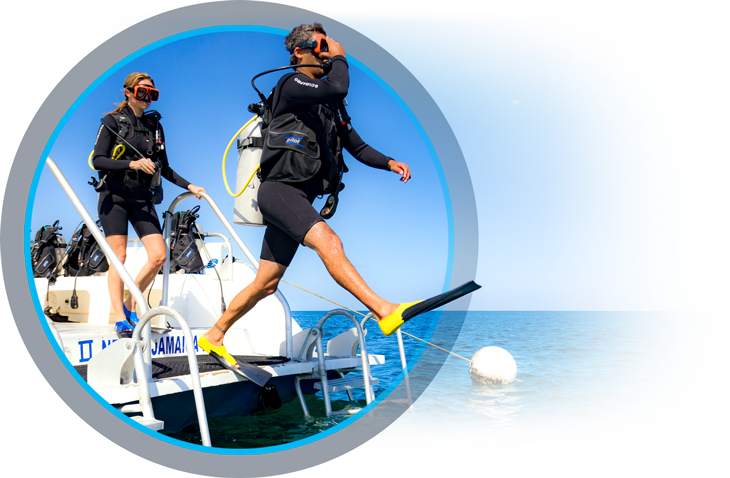 For three decades the DIVERS ALERT NETWORK, or DAN, has been promoting safe diving practices by providing medical support, advice and educational programmes. Take one of these courses and join the over 260,000 divers worldwide who trust DAN to help keep them safe underwater. Serious hazardous marine life injuries are rare, but most divers experience minor discomfort from unintentional encounters with fire coral, jellyfish and other marine creatures. This course teaches divers to minimise these injuries and reduce diver discomfort and pain. Basic Life Support, or BLS, includes airway management skills such as the log roll and recovery position, one rescuer cardiopulmonary resuscitation and additional skills like caring for a choking patient, controlling bleeding and caring for a patient in shock. The first aid portion of this programme includes key skills such as illness and injury assessments, bandaging and splinting skills and emergency moves.